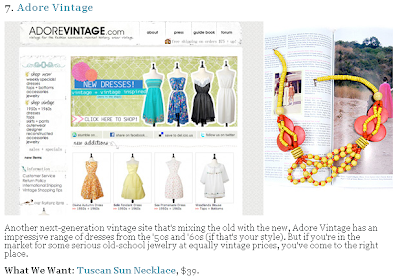 ADORED VINTAGE: Refinery29 Adores Us! Oh coolness! Sorry to be a little nerdy, but I get all happy when I find nice things written about AV. And especially when it's from a site I adore! Check out Refinery29.com and be sure to follow them on Twitter for fashion tips, articles, and groovy reads!